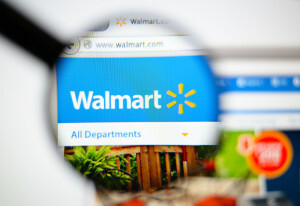 What is the Supplier Performance Scorecard from Walmart? Walmart tells its suppliers what they expect. Therefore, Walmart provides many tools and resources to help suppliers thrive. One such tool is the Supplier Performance Scorecard from Walmart. The scorecard gives data a Walmart supplier can use to reference sales during a given period of time. Additionally, it can also give benchmark against like businesses. What sets Walmart’s scorecard apart from other retailers is that they have added a product sustainability as a category. Scorecard is just as important a tool as Retail Link is to suppliers. With Retail Link, suppliers can manager inventory levels, forecast buying trends, and have an efficient supply chain. Furthermore, utilizing these two tools together can be crucial for brand improvement. With Retail Link, data is given on daily basis in terms of everything from sales to inventory. It is a great daily tool that can be utilized to help a business score well on their scorecard. This data can be overwhelming. It may be best to have a dedicated person or consultant in place to evaluate it. Having a someone in charge can significantly improve one’s scorecard because they see the day-to-day numbers and adjust where need be. The data can show which products are not selling or conversely which are selling out. Based off of that, maybe there needs to be price adjustments or extra inventory on hand. Both of these can affect Key Performance Indicators (KPIs) that show how healthy a business is. These KPIs help retailers by improving their yearly scorecard and increasing sales potential. The Supplier Performances Scorecard does not tell a brand their exact completion’s scores. It does however benchmark like brands. That benchmarking is something suppliers of Walmart can use significantly to their advantage. Knowing where your brand lies can help management a lot. While it cannot give a full SWOT (Strength, Weakness, Opportunity, and Threat) analysis, it can certainly come close. Utilizing the benchmark’s in place, a brand can see if their product sustainability is on par with like brands. Moreover, it can tell a supplier how like brands are meeting shipping requirements and the quality of products. These KPIs help a brand to map changes. Furthermore, it allows for brands to see where their opportunity lies and where they are being beaten out by other like businesses. Being able to see a benchmark helps a brand improve their customer service which in turn increases sales potential. As a leader in retail, Walmart has taken a stance on sustainability. As a result, it now has an addition to its scorecard that grades a brands sustainability. Walmart has dedicated time and resources to ensuring that suppliers meet a stringent list of requirements. These sustainable requirements are put into place to ensure a brand is reducing their carbon footprint. While this part of the scorecard is on the newer side of Walmart’s tools for suppliers, their commitment to sustainability and the planet has been an almost decade long crusade. Since the end of the 00’s Walmart has been creating guidelines for suppliers packaging and product quality. This responsibility has put them ahead of other large retailers. Walmart has a focus on recycled packaging and responsibly sourced materials. Walmart collects the product and packaging information via an annual survey. The survey has grown from several questions to over 100 pieces of information that need to be collected. This information is given to their buyer and graded. The lower grades are seen unfavorable to buyers with a possibility of being down in priority.